This Cristiano Ronaldo statue is a bust...in more ways than one. It's a juice cleanse, for your lungs. So does that mean we can cancel our gym membership? Please say yes. There are lies all around us at all times. Here are just a few. Just three questions are all you need in order to test your smarts. In March 2017, soccer star Cristiano Ronaldo had an airport named after him in his native Madeira Islands. From now on, the it will be called Aeroporto Cristiano Ronaldo. It's a pretty cool tribute to a local hero. As part of the tribute, a bust of Ronaldo was displayed at the airport. Notice the resemblance? If not, don't worry. You're not alone. As you may have noticed, Cristiano Ronaldo is a fairly handsome gentleman. But his bust, on the other hand, is not. And Twitter took notice. The Ronaldo bust really does look like someone in some excruciating pain, while also trying to act like everything is fine. Perhaps the real Ronaldo can relate. Particularly when he saw the bust for the first time. 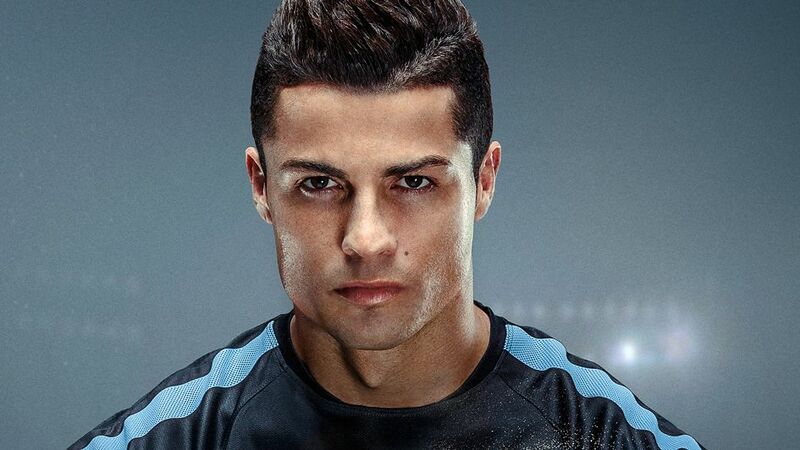 So here's what would happen if Ronaldo looked like his bust in real life. He used to look incredibly dreamy. But now he's just a terrifying nightmare. And here's Bust Ronaldo right after a match. This reminds us that it's good it was just a bust. Because if it was a full statue, we probably wouldn't want to see him without his shirt. Many on Twitter pointed out who the bust actually looks like. For instance, the oldest kid from Home Improvement. But maybe it would be better if he looked more like Wilson, because at least he'd have a fence covering his face. Or how about this Goomba from the Super Mario Bros movie? Sure, it's a bit of a deep cut. But if they changed the name of the place to the Goomba Airport, they wouldn't need a new statue. Okay, this one may be a little harsh. Harsh to the poop emoji, that is. The Ronaldo bust only wishes that it was this adorable. Perhaps these two can work together. 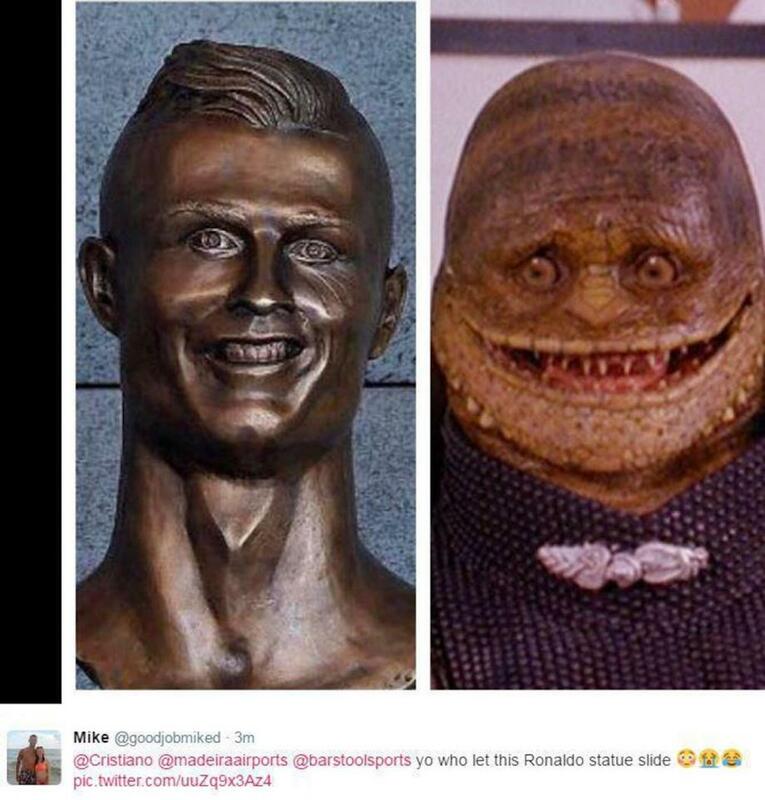 Maybe the real Ronaldo was cursed and turned into a hideous statue. Now he just have to get Belle to fall in love with him, and he'll be free! 11. Hello? Is It Me You're Looking For? At least the bust in the Lionel Richie video looked mostly like Lionel Richie. Which means she's probably not responsible for the Ronaldo bust. So who actually did it? This is Emanuel Santos, the many who made the bust. He said he only had 15 days to make the it so it would be ready in time for the ceremony at the airport. He said, "No negative comments have reached me yet. I’ve got friends on Facebook and the feedback has been positive. Of course there’s the odd comment from someone saying there’s room for improvement here or there." It might be the super spooky bust of Cristiano Ronaldo.